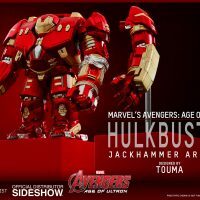 It’s time to lay the hammer down with the Hulkbuster (Jackhammer Arm Version) Figure, created by TOUMA for Hot Toys’ Artist Mix series. 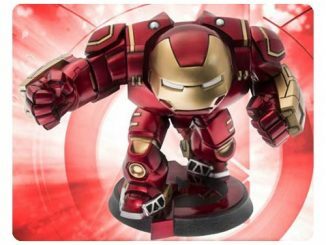 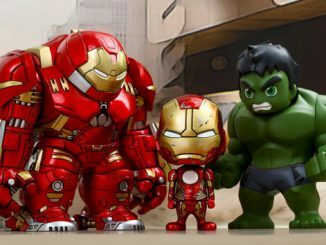 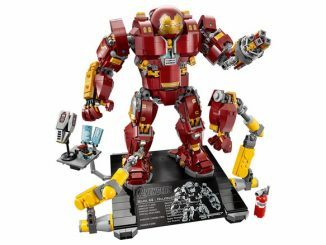 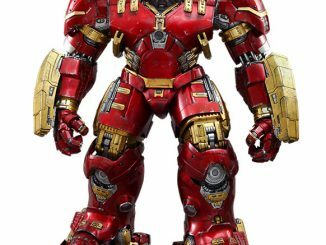 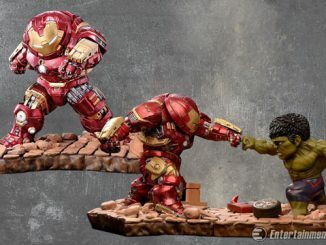 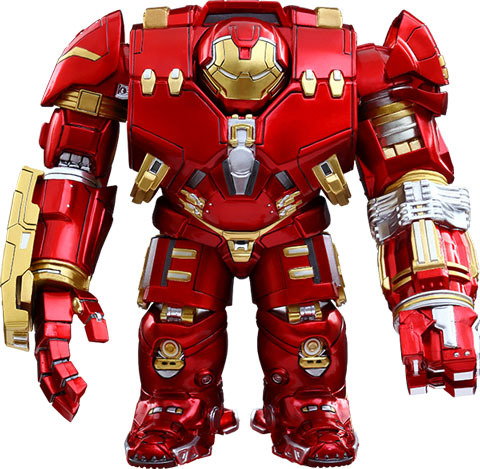 Standing 5 1/2-inches tall, this non-articulated figure features the jackhammer arm used by Stark’s Hulkbuster to ‘tenderize’ Banner’s angry alter-ego. 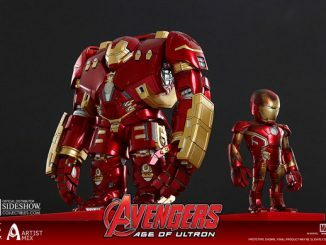 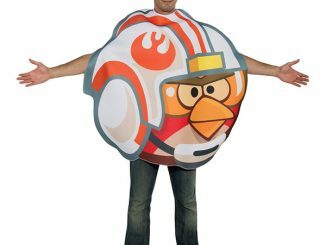 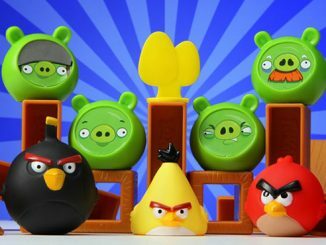 The figure also has a bobble head and comes with an interchangeable regular arm. 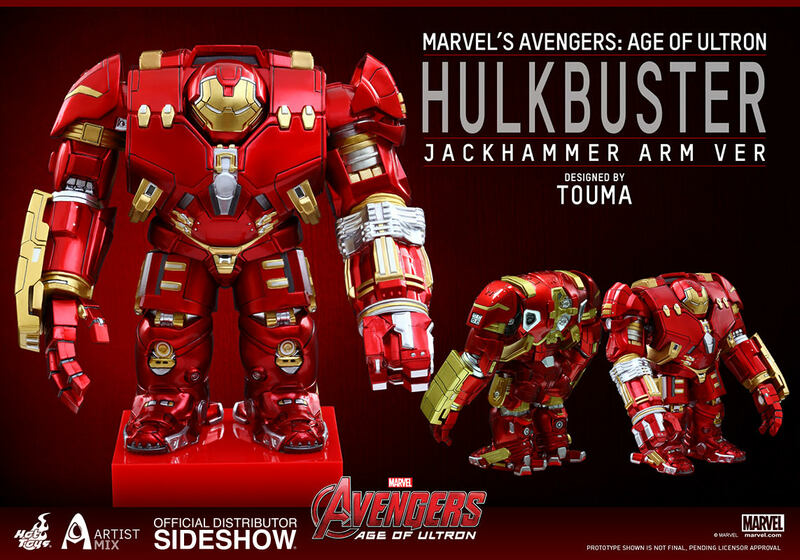 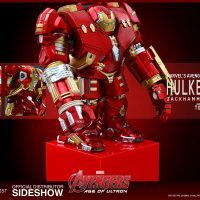 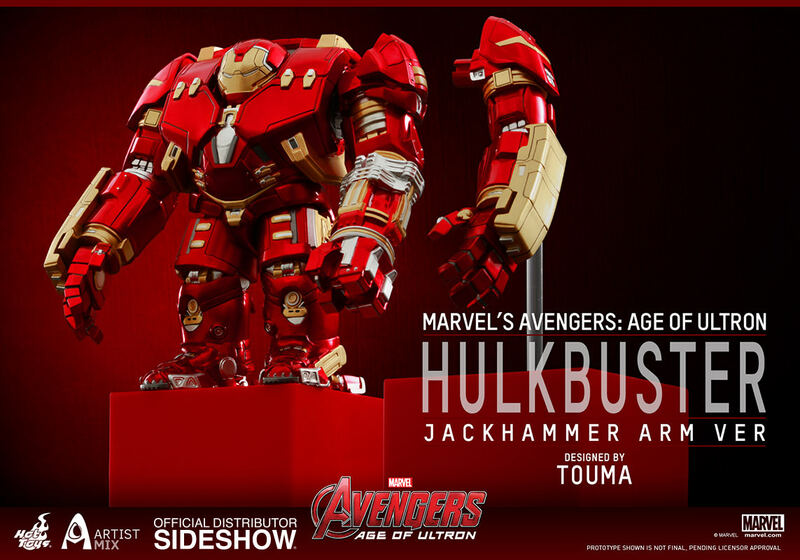 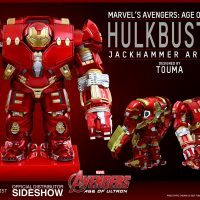 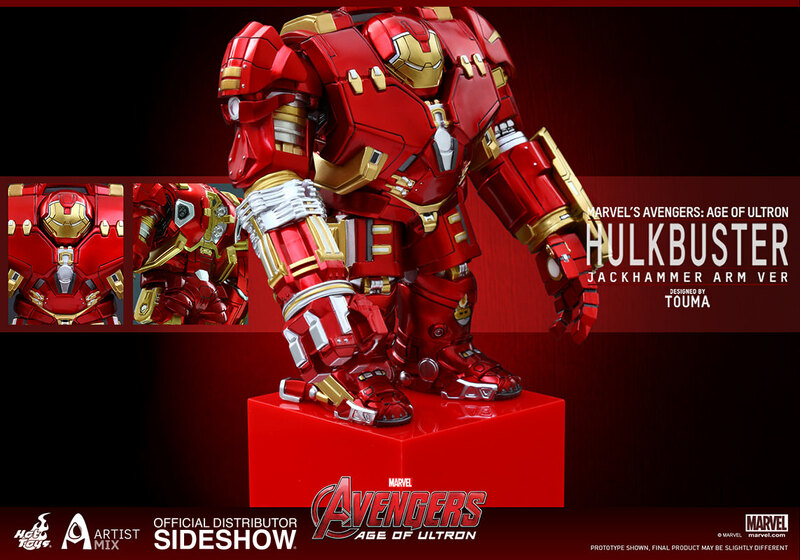 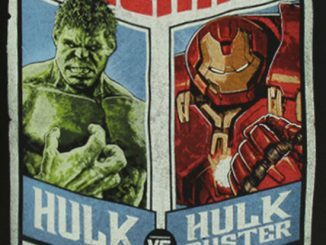 The Hulkbuster (Jackhammer Arm Version) Figure will be available Sep 2015 – Nov 2015 but it can be pre-ordered now for $89.99 at Sideshow Collectibles.